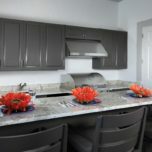 Choosing the design scheme, cabinet décor and overall appearance of your kitchen is a big task. It can seem daunting to even the most decoratively inclined of us. If this is the case for you, you are not alone. 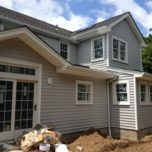 New Jersey Kitchen Remodeling is one of the most complicated home renovation tasks around. 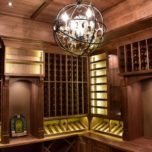 For this reason, and for your own personal sanity, it is often best to part with a little extra cash and hire a designer. This will cost you a little more, but will save you a real headache! 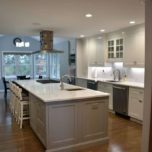 Hiring the right kitchen designer for your project goes a long way, not only will it make your life easier for the duration of the project, it will also produce a much better kitchen remodeling project that will stand the test of time. 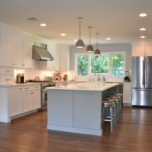 A good kitchen design plan coupled with expert care and craftsmanship it a great recipe for a successful project. As a side benefit, and a big one, your project will stay on budget and on schedule with a single source of accountability so you can rest assured knowing your investment is protected. 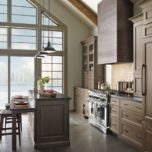 The question then becomes how to pick a kitchen designer who will help you make your dream kitchen a reality. Here are a few tips. Do some preliminary research. Explore your tastes and educate yourself on what is out there. This will give you a starting point when you talk to designers. 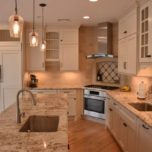 Learn what actually goes into a NJ kitchen remodeling. Read magazines. Watch youtube videos. Be educated. Do not walk in unaware and ready to be taken advantage of. Ask for referrals from friends, coworkers and retailers. Ask to see qualifications and photographs. You can gather more information than you would imagine by looking at photos. Be prepared to pay for experience. It is worth it! Beyond what we have discussed here already, there are a myriad of material selections, cabinet options, product offerings, appliance integration and countertop options that will come up along the way to name a few, it’s best to have someone who can help navigate the path to a beautiful new kitchen, someone to bounce ideas off of. 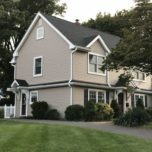 It’s not so easy to make decisions for your own home, having an objective opinion is very reassuring when making such large decisions, no need to go at it alone! 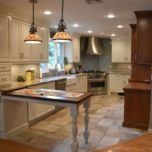 Need help planning your NJ Kitchen Remodeling Project?